Losing information that your business needs could cost you. Whether by flood, fire, or theft, the loss of personal information, property, business information, or other important documents could halt any progress that your business has made, and cause you to start from scratch. Aside from that, you may also need to produce those documents for legal reasons, including any interactions that you have with government agencies such as the IRS, or with local law enforcement. These groups won’t usually accept excuses in lieu of evidence, which is why it’s vital that you keep any necessary documents either safe or backed up. There’s a long list of different documents that you may want to keep that will differ according to the type of business that you are running. You may need to keep records of inventory based on import if you deal heavily in that area, for example. You may also need to keep safety records for various chemicals that your business uses in production. You’re most likely familiar with what these important documents might be, and why you will need to have them. Below, you’ll find a list of more common documents that are used by businesses in nearly every industry. Tax records. Keeping your tax records off site can be a lifesaver if you face an audit. The longer that you keep the records, the more likely it will be that you’ll have coverage in the event of any attention from the IRS. The last thing that you’ll want to do is try to explain to them that you lost those documents in a flood or fire; electronic back-ups are even better, but it never hurts to have a hard copy as well. Projects, especially those that are purely computer-based. There are plenty of stories about companies which have lost millions due to a lost or stolen hard drive that contained months of work. It could set you back a significant amount of time, and it could cost your company a sizable amount of money if your project is completely lost. Always keep this information backed up. If you’re using a cloud-based storage location, depending on the size of the project, you may even want to perform a twice-daily back up. Having two back-ups is recommended as well, in the event that a file becomes corrupted. Legal documents, including information on incorporation, any property holdings, and contracts that you may hold. This will also include any accounts payable information as well. Certainly you will want to back up Accounts Receivable data, since it will be important to know who owes you money! This information is extremely important to your business and not having access to it, for any reason, could delay a project substantially, or worse – go out of business. You may even face fines or fees for not being able to produce that information in a timely manner. Have back-ups that you can access quickly, and you’ll always be on top of your business matters. Why is Back Up or Storage Necessary? In the event of an emergency, those back-ups could help you to resume work in a much shorter amount of time than it would otherwise take you. You may also be able to prevent instances of theft of important documents by keeping them in storage. The same is true of information stored in cloud servers; most are encrypted and physically located across several remote servers, making internal theft or sabotage difficult without the right digital credentials for access. The more information that you’re able to store off-site, (and ideally stored in a secure cloud-based server) the more well insulated that you will be against theft, disaster, and much more. As your business grows, you’ll find that these resources are actually indispensable. If your friends, family and neighbors have had significant damage to homes or businesses you can contact Reset Restoration 24/7 to inquire about Tulsa restoration services. Call Reset Restoration today at (918) 582-7373. If your Tulsa home or business has suffered significant damage, please contact Reset Restoration today and request a free quote on storm damage restoration. 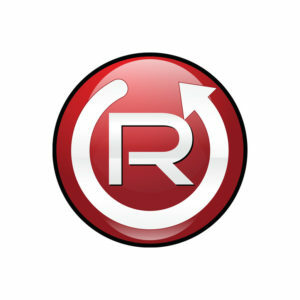 Follow Reset Restoration on Facebook!